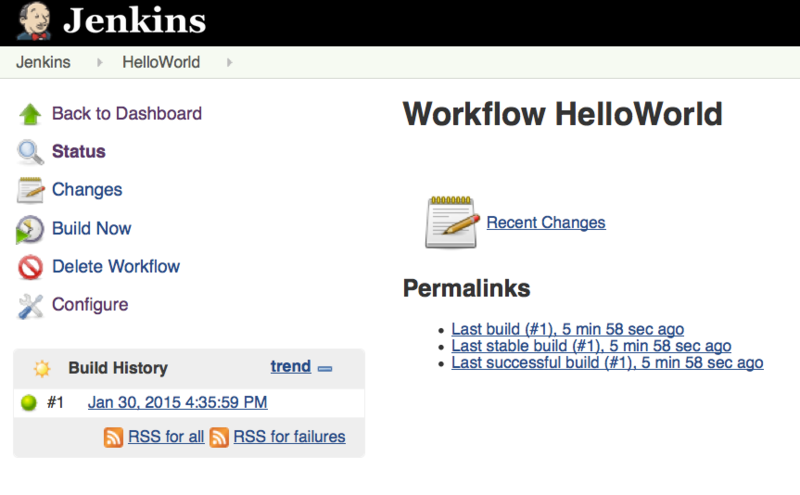 As first step we create a new Jenkins job of type “Workflow” and name it “HelloWorld”. 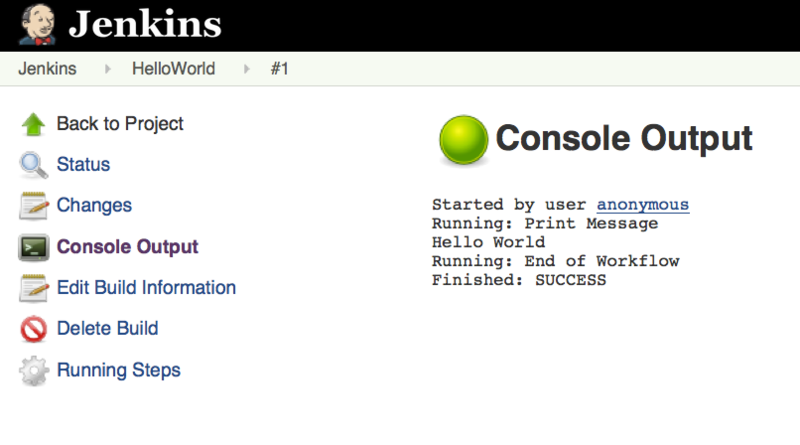 To keep things simple we don’t use any source code repository (SCM) for this example. 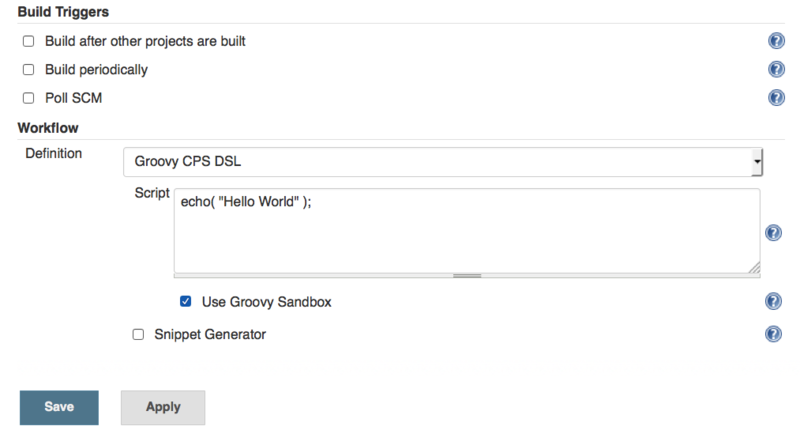 So we have to fill in some more or less useful commands (like echo("Hello World");) into script area of the Workflow configuration section and check “Use Groovy Sandbox”. Nothing more, nothing less. After saving the job we have to start it manually by pressing “Build Now” button. That’s all. 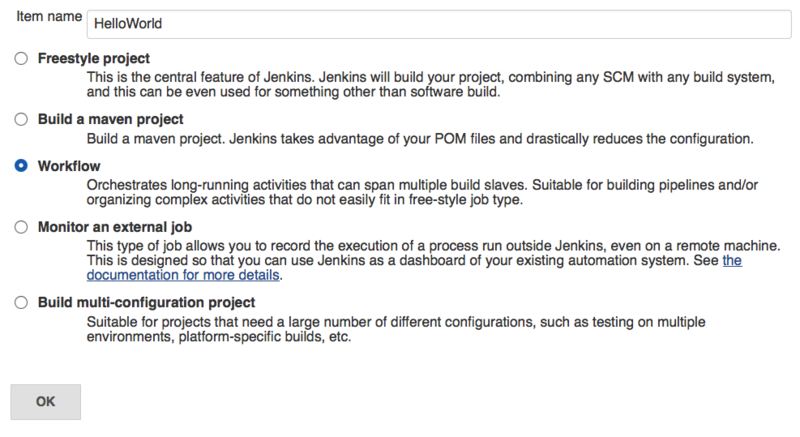 We created and run our first (simple) Jenkins Workflow job. This script is there all the magic happens, usually more than echoing „Hello World“ – but this we will explore more deeply in following posts.